That's right! SILK!!!! 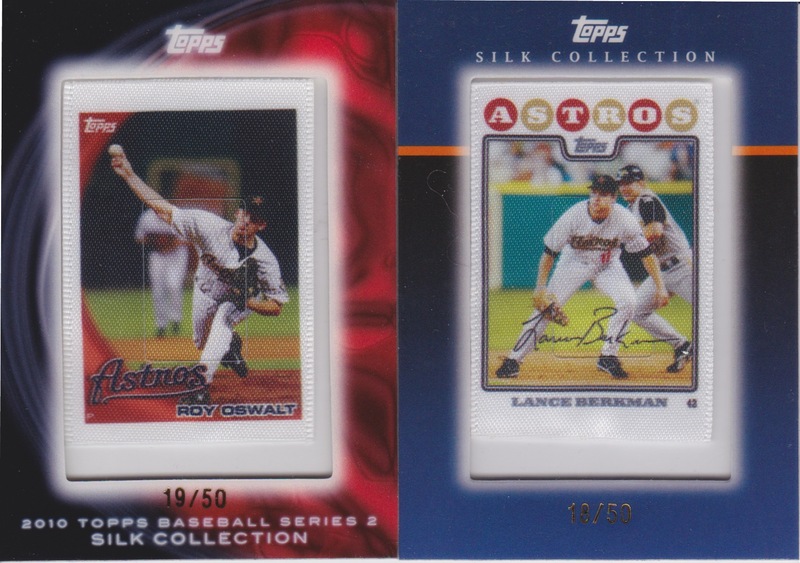 I want to get a collection of all the Silk Astros that have been made from 2008 Topps to Current Year! These cards are legitimately low numbered, they aren't over-valued by collectors unless it's a huge star (and let's face it, it's not like I'll be chasing HOF'ers here) and most can be found on the secondary market. Good luck ! I don't think I have any, of any player or team, so if you see any Tribe silks in your quest, LMK !! Seriously - I know my LCS has a few silks in a case. Let me see which ones they have. nice challenge, i like these silk ones ! Thanks for picking up the Valverde off of my COMC page. Much appreciated! Silks, a few years after their release, are relatively easy to obtain. I picked up and Aaron Hill from a 3/$1 box at a card show and flipped it for about $7 with shipping to Canuckada. Bidding on a JP Arencibia ending late tonight and the bid is only $.99. Best of luck, I'll keep an eye out. I've got a 2011 Angel Sanchez Silk #'d 41/50. There a pic of it on my 'trade bait' page....I'd gladly trade it for some sort of Blue Jays card if you were interested. 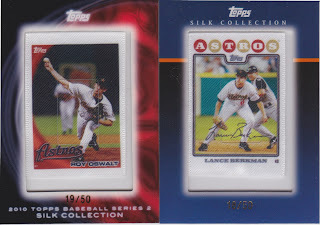 If anyone needs Silks , My Local card Shop Triple Play Sportscards Has these.